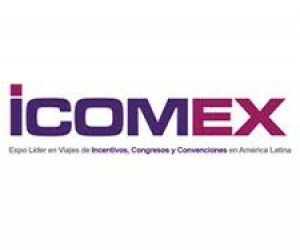 Reed Exhibitions have confirmed that ICOMEX (www.icomex-mexico.com), the leading MICE event in Mexico and Latin America, specialising in incentives, conferences and conventions is set to change venues and this year’s event is set to take place at the Centro Banamex in Mexico City (25-26 August 2015). The event, recently acquired by Reed Exhibitions, has become the first trade show in Latin America for the ibtm events portfolio (www.ibtmevents.com). The show will take on the trusted values of the ibtm events portfolio; delivering a high quality Hosted Buyer programme combined with networking and education opportunities. The new partnership which will combine both local and international expertise, is set to deliver a platform where key regional and international MICE (Meetings, Incentives, Conventions and Exhibitions) suppliers will meet with a powerful network of both regional and international buyers - for two dedicated days of business, education and networking. Further upgrades, which have been made to the event for 2015 include the addition of a number of new regional and international destinations exhibiting and a revised education programme that has been designed specifically to focus on participants’ needs.